There are typically a lot more questions than answers in EHS managers’ minds during inspections, and these questions fall under three broad categories: inspection reason, scope, and outcome. Inspection concerns are understandable. 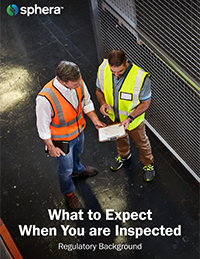 In this free e-book, we will outline briefly the regulatory background pertaining to inspections.